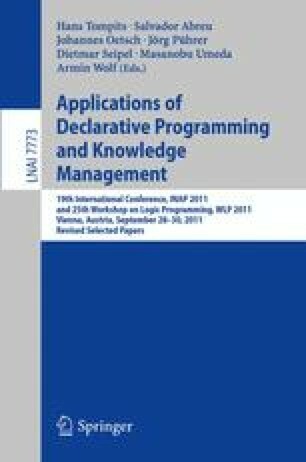 This paper presents a proposal for a knowledge-based programming environment. Within this environment, declarative background knowledge, procedures, and concrete data are represented in suitable languages and combined in a flexible manner, which leads to a highly declarative programming style. We illustrate our approach with an example application and report on our prototype implementation.